FAYETTEVILLE -- Eighteen soldiers were hospitalized Wednesday night following a lightning strike during routine training, the 82nd Airborne Division said Thursday. A Division spokesman said eight soldiers have been discharged from Womack Army Medical Center and released to their primary care doctors, while nine remain hospitalized at the base. Another soldier is being monitored at UNC Hospitals. That soldier was transferred from Cape Fear Valley Medical Center in Fayetteville because there were no beds available Wednesday night. 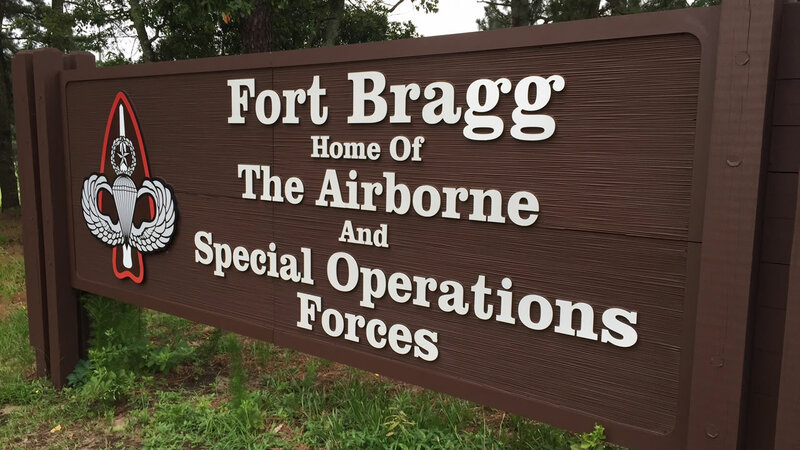 The incident occurred during live fire training at Fort Bragg. Just after 8 p.m., 58 1st Squadron, 73rd Calvary Regiment, 2nd Brigade Combat Team, 82nd Airborne Division soldiers were huddled in an after-action review as storms rolled through. It's unclear whether they were inside or outside a tent at the time of the strike, a spokesman said. Following the strike, the paratroopers executed a safety drill. "The soldiers and the leaders did what they were trained to do," said spokesman Master Sergeant Patrick Malone. "They conducted lightning drill safety, moving from higher ground and spreading low across the ground." Malone said the hospitalized soldiers showed symptoms of dizziness and numbness to their extremities.